The woman was making her daily stop at the park when she found the man. An 83-year-old man with dementia was reunited with his family on Friday -- and he has "Pokemon Go" to thank for it. Homer Howard was discovered a state away from his hometown of Maineville, Ohio, by Allison Hines, according to Cincinnati ABC affiliate WCPO. Hines just so happened to be in Kenney Shields Park in Covington, Kentucky, at the right time on Friday morning. The park is a daily destination for her due to its designation as a Pokestop -- a real-life location with in-game supplies for the video game which swept the nation with an unrivaled hysteria in the summer of 2016. But on Friday, Hines came across a stranger who seemed in need of help. Hines passed the elderly man, waving due to his Navy baseball cap. Hines herself is a Navy veteran. (WCPO) Homer Howard, 83, was found in Kenney Shields Park in Covington, Kentucky, on Friday, April 20, 2018, after going missing from his home in Ohio. "As I turned the corner, everything in my being said, ‘Stop, turn this car around and go check on him,'" she told WCPO. Hines went back and spoke to the man, who told her his name -- Homer Howard. But he was very surprised to find out he wasn't even in his home state anymore. "I said, ‘Do you know you're in Kentucky?'" Hines said. 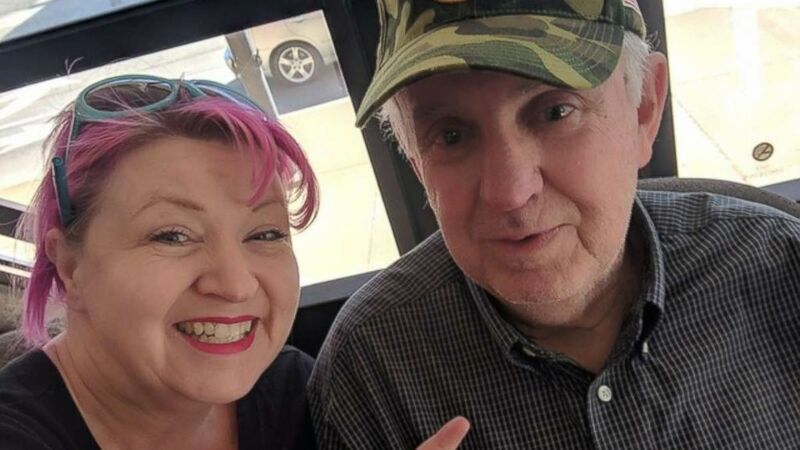 (WCPO) Allison Hines found the missing 83-year-old Homer Howard in Covington, Kentucky, after visiting a park to play "Pokemon Go" on Friday, April 20, 2018. Maineville is 30 miles northeast of Covington, and it's still unclear how Howard made his way so far south after being reported missing by his daughters, Tammy Richardson and Tonya Geringer, 24 hours earlier. "Lots of thoughts went through my mind," Richardson said. "I just had to stop them. I just had to keep hoping, praying and waiting until we heard from him." Howard returned home to his daughters on Friday evening and Hines said she hopes she can take him to dinner soon. "I'm very grateful for 'Pokemon Go,'" she said. "My goodness. What I loved about it is, when I played its it got me out in the community. It was a social game. Today, it saved a man's life."